With the concerns about chemical fertilizer's impact on the environment, are you considering using organic fertilizer in your garden? If so, you can make it yourself and save money. This page contains homemade organic fertilizer recipes. If you want to grow corn or tomatoes and a lot of them, go to the bait shop. Place 3 little fish about 2 inches below the plant. Cover them, plant your plant, sit back, and watch it grow. You will have more corn and tomatoes than you can use. For gardens to grow, they need to be fertilized. Unfortunately, commercially available fertilizers are an unregulated product that may contain toxic wastes. Happily, you can easily make your own organic plant fertilizer "tea bag" -- and save some money at the same time. To make the teabag, lay a double layer of cheesecloth on a bare patch of soil and place one or two cups of compost, aged manure, or slow-release organic fertilizer on it. Grab the four corners of the cheesecloth and bring them together, then twist and apply rubber band to make your "tea bag" of fertilizer. Place the tea bag in the bucket, and fill with water and let it steep for a day or so. When the tea is ready, remove the bag, and fill the bucket the rest of the way with clear water to dilute the tea. You can treat each of your plants to a cup or two of tea. As a rule, underfeeding is better than overfeeding, and small regular feedings are better than occasional large ones. I want to fertilize my plants with "kitchen waste" instead of chemicals. How do I use coffee grounds for hydrangeas if used grounds are not acidic enough? Used coffee grounds can be spread around your hydrangeas in small amounts and gently mixed into the topsoil, or composted along with other kitchen waste and added to your soil later. They contain about 2.0% nitrogen, 0.3% phosphorus, and 0.3% potassium. Just like any organic matter, as used coffee grounds break down they release their beneficial compounds into the soil. When worked into the soil, they do provide a small amount of acidity. Some studies suggest that used coffee grounds lose their acidity when brewed (supposedly all of the acid goes into the coffee). Other studies now suggest that this is not true, and that used grounds do add a small amount of acidity to the soil. The key seems to be working them into the soil and not just spread them on top. Coffee grounds contain allelopathic chemicals that may inhibit weed growth. It should be noted, however, that these same chemicals are not selective and can inhibit the growth of desirable plants as well. 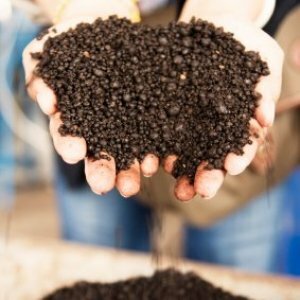 One thing to keep in mind is that like any organic waste from the kitchen, as coffee grounds decompose, they are likely to tie up a small amount of nitrogen in the soil-making it inaccessible to your plants. How much that affects your hydrangeas depends on how much of the grounds you have incorporated into the soil. In general, a small amount of coffee grounds dug gently into the topsoil around your hydrangeas is probably just fine. Nevertheless, an even better way to utilize it would be to start a backyard compost pile for all of your kitchen waste. The local starbucks saves coffee grounds for gardeners...Just ask. They are on the back step in huge garbage bags. I add them to my compost to keep it sweet smelling! The coffee filters break down quickly! 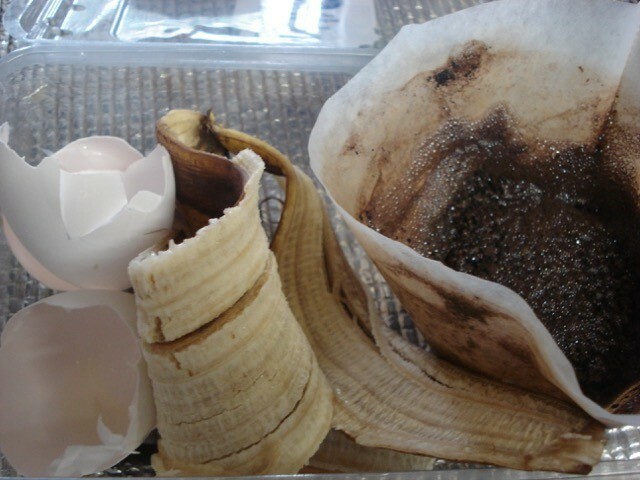 Were you thinking of using coffee grounds that were not used? that would be the most shockingly expensive plant food, I would think! Used coffee grounds and tea bags are great for hydrangeas, azaleas, and rhododendrons. Just put them on the soil under the plant. It may take several months for the grounds to get worked down into the soil and for worms to find it. Be patient. Good job. I was told years ago to place a used SOS pad, (Brillo pad also works) in the soil around the plant. I cut the used pads into quarters and placed around the plant evenly. Be careful when placing anything in the soil around a plant that you do not disturb the roots. Always try to add before planting.The results were great ! Something about iron content. I just know it works and works better than coffee grounds. I save my coffee grounds and egg shells for my roses. If you are a coffee drinker, just use the used grounds after you are done making coffee. They also work well to take odors out of the refrigerator. If you don't drink coffee, see if a neighbor would be willing to give you theirs. No sense in wasting good coffee. You can also use 1 cup of white distilled vinegar to 1 gallon of tap water for all your acid loving plants. I do this for my blue hydrangeas, gardenias & camellias. I want to begin organic fertilizer production, but I only know a little about fertilizer production. How could I begin it? it's an amazing site that will teach you everything from fertilizer to farming! They also hosts weekend fairs all over the country. They are amazing! For a small admission for one or both days they offer ongoing demonstrations on everything..from animal husbandry to making cheese! They also have a magazine. If you can, check it out in your local library. Many offer online viewing of magazines for free now! Good Luck! Visit your County Extension Office. They have the scoop on making it. I mix organic peat moss, sand, aged cow manure, and top soil. Add chopped up leaves. Blend all kitchen veg. scraps in a blender and add to it. Animals will not touch it because it is all ground up and converts rapidly to soil, as well as increasing earth worms in the soil. I make my own compost. 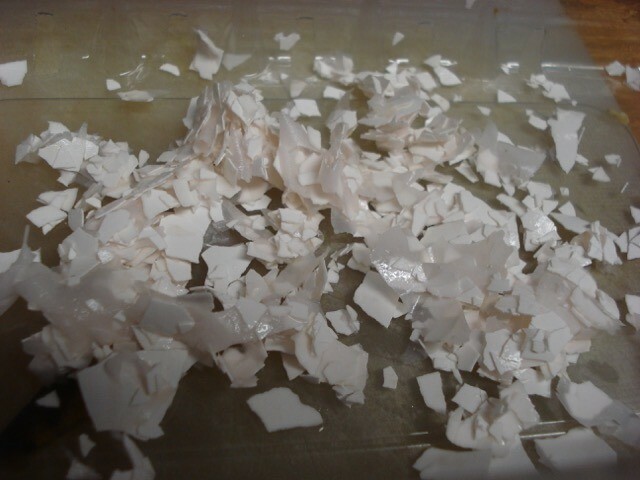 You must rinse out eggshells. You cannot put in any meat, dairy, bones, weeds or seeds. 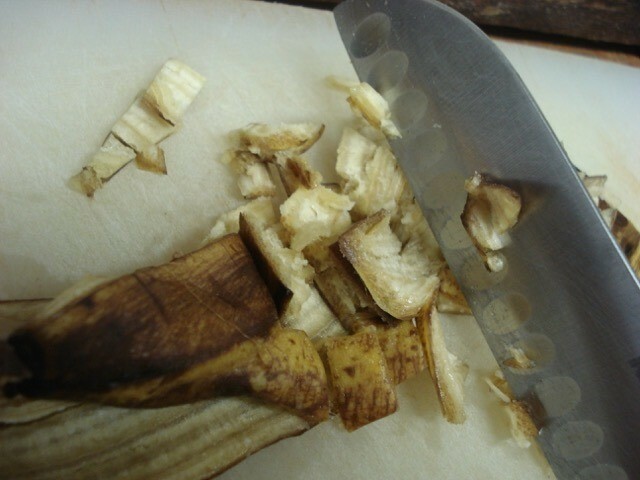 I put in fruit and vegetable peels, leaves, shredded paper, grass clippings if they have not been chemically treated and used coffee grounds. I drilled small holes in the sides and bottom of a garbage can. 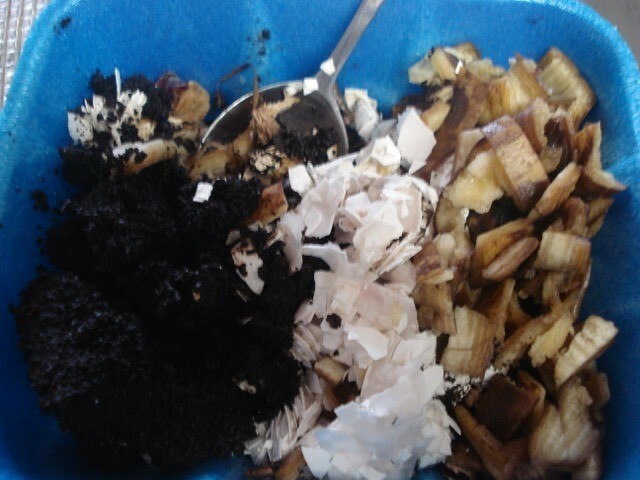 I roll the can around to mix the compost whenever I add new material. As well as all these great tips on compost making, you can very easily make a liquid feed for all your plants in the spring and summer. Wearing gloves, cut a large bunch of nettles - enough to fill a large plastic bag. Cut holes in the bag and steep it in a barrel of rainwater - one with a tap. Keep it well away from the house as it will get super-smelly! After a week or two you can begin to use it as feed. Dilute to a pale straw colour with water and watch your plants grow. You may need to add more water to the barrel. 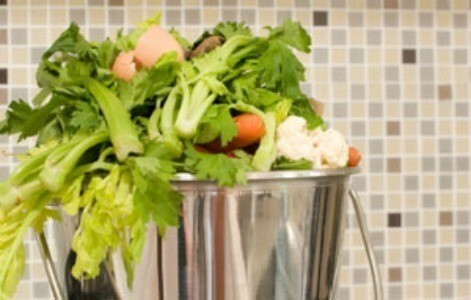 I agree with composting all kitchen waste such as egg shells, vegetable peels, rotten fruits, and veggies. NO MEAT BY-PRODUCTS! It is best to layer a dried material with the kitchen waste, such as dead leaves, or dried grass clipping. Also, if you can find a stable or dairy near you, obtaining old, dried stall waste and manure is a great organic material. Just be sure it isn't fresh! It must be completely dry. Laying fresh waste with dried waste will cause it to decompose faster. Depending on your weather, it can take up to a year to make your own black gold, but well worth it! 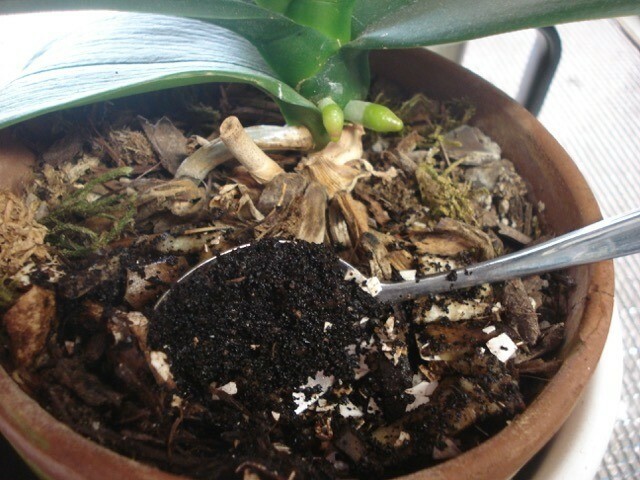 Using coffee grounds without heating for indoor plant fertilizer has produced flies. How long do I bake and what temp is good to sterilize them? They have been boiled, are as close to sterile as anything. Mix well with soil, add minerals. I don't have any problem with flies where I collect my coffee grounds (I keep them in a basket on my counter so they will dry out). It may be that your plants are too moist and you may need to make sure the grounds are well mixed into the soil. How do you water it down to make fertilizer? Ellen's article is great. Thanks for the good ideas. I'm curious about using foliar fertilizers for supplementing new cuttings. I didn't see mention of worm casting tea. Would one add the molasses to that for the bubbling method, and what are the appropriate ratios of castings to water for both brewing and spraying? Also, can blackberry leaves be used to make a fertilizer? We have tons of it here and it's quite invasive. I've always wanted to find a use for them. Last, your web contact was unclear to me. Perhaps a link to your contact page? Composted chicken manure when mixed with your topsoil makes a great fertilizer. 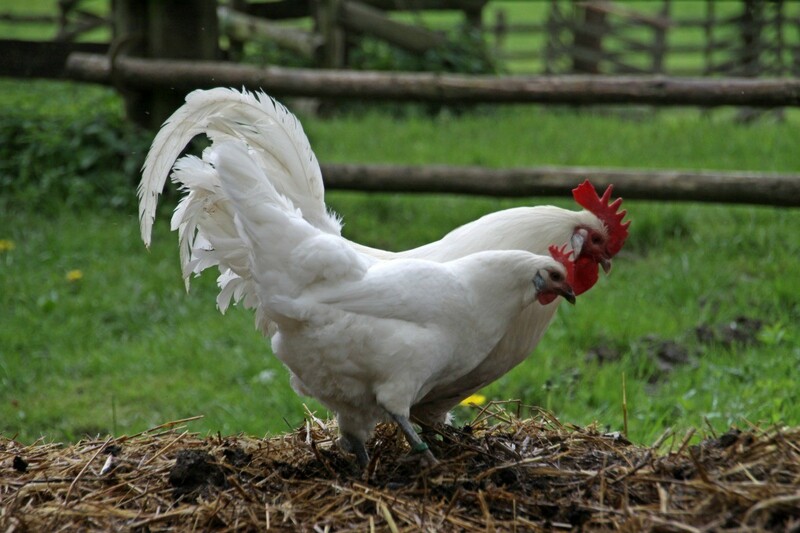 This is a guide about using chicken manure as garden fertilizer.